How are seniors and their families tackling the challenges of aging in place? Many older adults would like to stay in their homes as long as possible, but sometimes they need a little help. Loving family members who live nearby try to take on some of the tasks of care while juggling the demands of their own busy lives. Adult children who are out-of-state struggle with how to help their parents. Short-term assistance after surgery, illness or injury to fill the gap between the time medical home-based care ends, and when you can easily take care of daily tasks. Long-term assistance for older people in their home, enabling them to enjoy life while remaining safe and independent. Transition assistance for seniors moving into independent living facilities, assisted living facilities, or nursing homes. 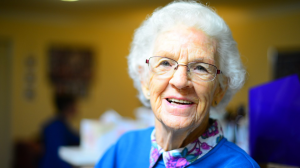 Older adults benefit from staying active and socially involved, and a senior services concierge can fill in where each family needs assistance. When family members live locally, getting help with necessary tasks like running errands and household organizational projects frees up time to enjoy activities like playing board games or going to the movies together. If family members live far away, the senior assistance professional bridges the distance. Regularly scheduled visits ensure junk mail doesn’t stack up, healthy foods are stocked in kitchen cupboards, medical appointments are not missed, and favorite hobbies or pastimes are enjoyed. Updates from the senior concierge keep family members informed across the miles. We will customize a service package to fit your specific needs!